No matter who you love or how you self-identify, all are truly welcome to explore and enjoy Raleigh, N.C. The City of Oaks continues to evolve into an exciting destination where lesbian, gay, bisexual, transgender and queer visitors can feel comfortable being themselves—here’s our guide to help you plan an exciting, fabulous weekend stay. 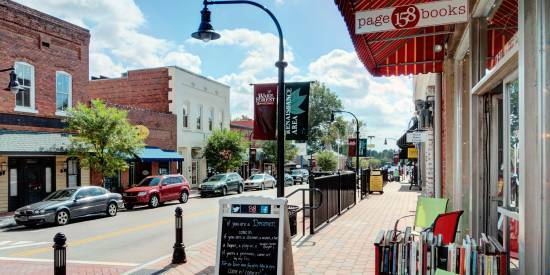 Raleigh has more than a dozen TAG-Approved area accommodations where you’ll discover relaxing stays that are nothing short of welcoming. 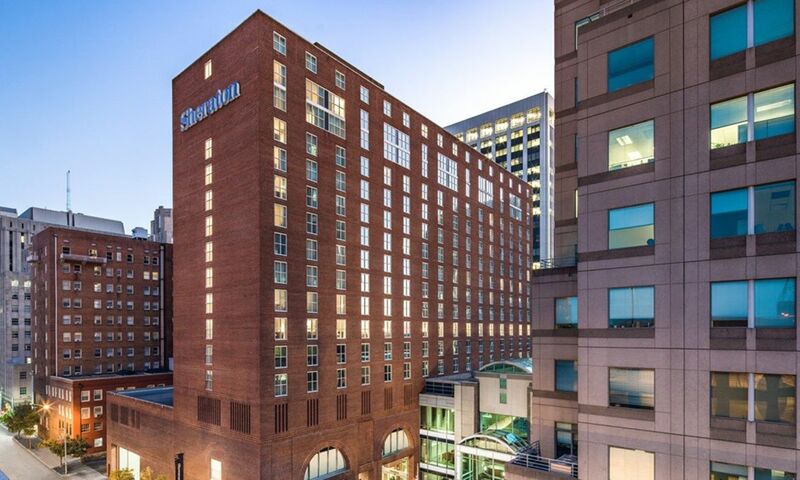 Soak up the energy of downtown Raleigh with a stay at either the Sheraton Raleigh Hotel or the Raleigh Marriott City Center. The Marriott, in particular, offers a Pride and Joy couples package—perfect for spending time with your significant other and/or favorite person. 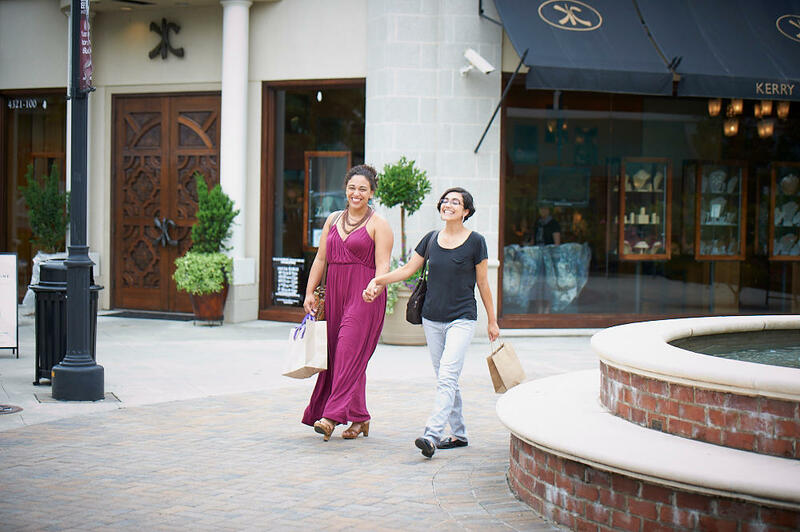 You can also check out the Hilton Garden Inn Raleigh/Crabtree Valley or the Renaissance Raleigh North Hills Hotel, both of which will put you close to some of the best shopping in the area. 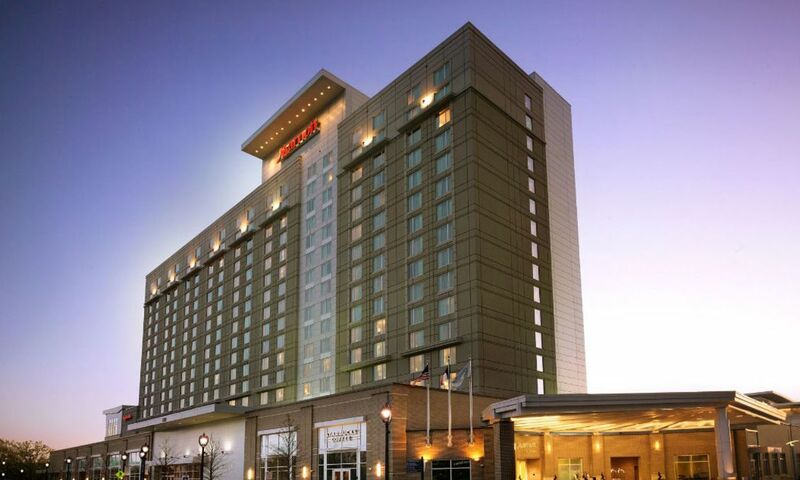 Or, choose the Aloft Raleigh-Durham Airport Brier Creek for convenient access to RDU International Airport. For a fun, LGBT-friendly shopping experience complete with beer and wine, make your way over to The Green Monkey. This locally-owned gift shop offers a wide assortment of off-beat gifts and local artisan treasures. Grab a drink from a selection of the six to eight beers on tap (more in bottles/cans), or choose from a wide assortment of wines. The Green Monkey also hosts regular community bingo and trivia nights. For more local shopping, swing by DECO Raleigh, a store that’s deeply-rooted and -connected to community (and carries what&apos;s probably the largest collection of Raleigh-themed gifts around). Just around the block, express your pride and flaunt your style with fashionable threads from The Art of Style, an inclusive environment to discover yourself through timeless fashion (and sometimes edgy) for men and women, plus stop in at Raleigh Denim Workshop, a homegrown enterprise that collects (and hand-sews) local goods, jeans and clothing. Bookworms will also want to check out legendary bookstore Quail Ridge Books (local and independent since 1984) and So & So Books, two stores that offer a lot of diversity and carry an impressive selection of LGBT authors. 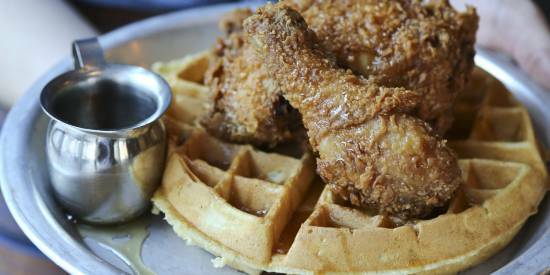 Raleigh’s food scene features restaurants known for both their Southern and LGBT hospitality. Right across from the LGBT Center of Raleigh sits Humble Pie, a casual, yet elegant, spot serving delightfully-shareable dishes. Drop in for dinner or Sun. 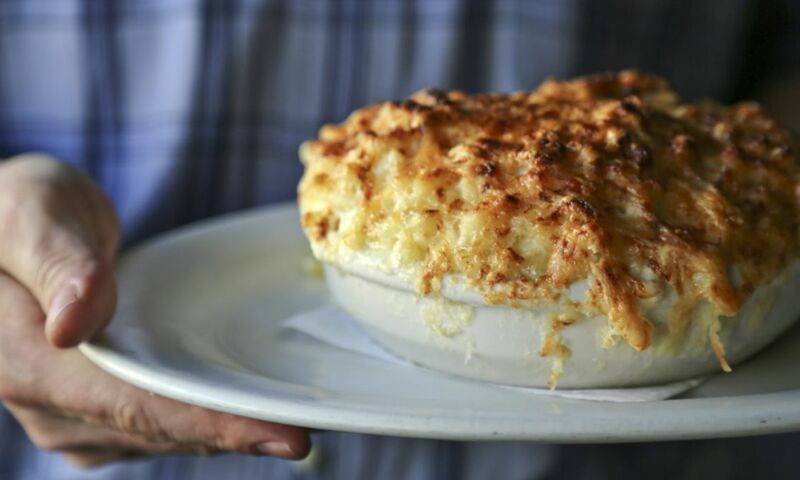 brunch and dine on seasonal and Southern-inspired delicacies like cauliflower mac and cheese and pork belly sliders. A regular supporter of the LGBT Center, the restaurant’s opening and welcoming vibe appeals to everyone (a massive patio and awesome jazz music on Wednesdays certainly doesn&apos;t hurt, either!). 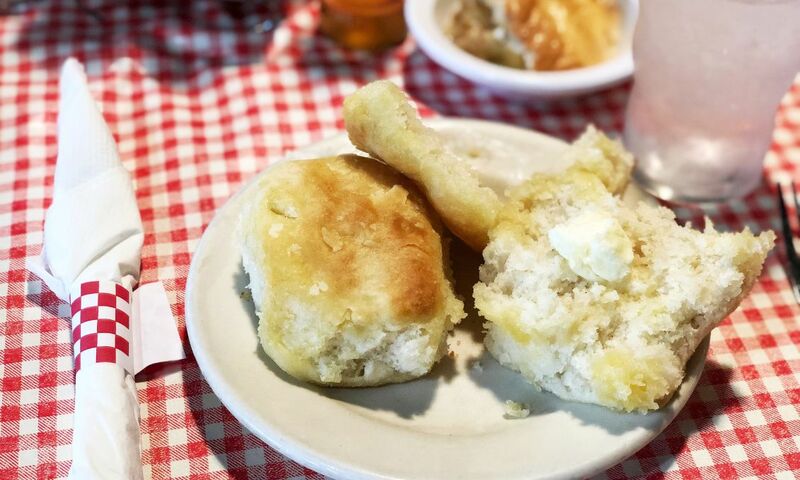 In addition to Humble Pie, Raleigh&apos;s Warehouse District is home to a host of other restaurants known to support the LGBT Center, the Crape Myrtle Festival, Inc. (an LGBT charitable organization), and the community at large. That includes The Fiction Kitchen, specializing in vegan and vegetarian cuisine; Parkside, the self-proclaimed threshold of hospitality for the neighborhood (with a killer chicken and waffle sandwich); Five Star, for traditional and not-so-traditional Asian cuisine; and Remedy Diner with its kitschy décor and delightful outside patio. And then, there’s The District. This local haunt and community mainstay at the corner of N. Dawson and W. Morgan Sts. 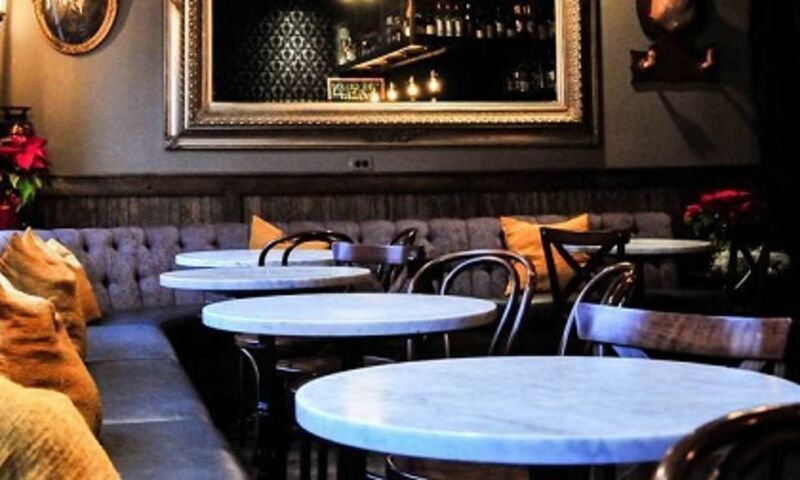 is well known for its “come-as-you-are” mentality, attractive cocktails and inspired small plates and entrees. Insider tip: The tater tots, served with a house-made cheese sauce, have never let us down at the end of a night out. 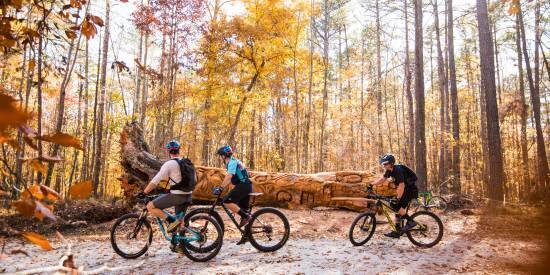 With everything from art galleries and museums to theatrical shows and musical performances, Raleigh is a hotbed of artistry and creativity that appeals to and supports the LGBT community. While you’re here, do a little museum hopping, starting with CAM Raleigh and its bold, non-traditional contemporary art exhibitions and cultural experiences. From there, swing over to Visual Art Exchange, a creativity incubator for diverse artists to display work and advance their careers. Finish up at the North Carolina Museum of Art, one of the most-visited attractions in the entire state thanks to beautiful galleries, an equally-spectacular, 164-acre museum park and a steady stream of educational and creative events. See A Guide to Museums in Raleigh, N.C., to discover more awesome locations. You can also catch a show at Raleigh Little Theatre—known to stage ground-breaking LGBT-centered plays and to screen LGBT movies—or grab tickets to musical productions like MisCast and The Gay Card, both coming to the North Raleigh Arts & Creative Theatre. If you’re in the mood for music, we’ve got you covered. Not only can you catch a variety of local and national musicians on stages and in bars across the city but you can also enjoy talented community groups. Check the performance calendars for the Triangle Gay Men’s Chorus and the men’s glee club, Vox Virorum, and grab yourself a front row seat. See a full calendar of upcoming live music in Raleigh here. For years, Raleigh, N.C., has offered a thriving LGBT club scene for memorable and welcoming nightlife experiences. 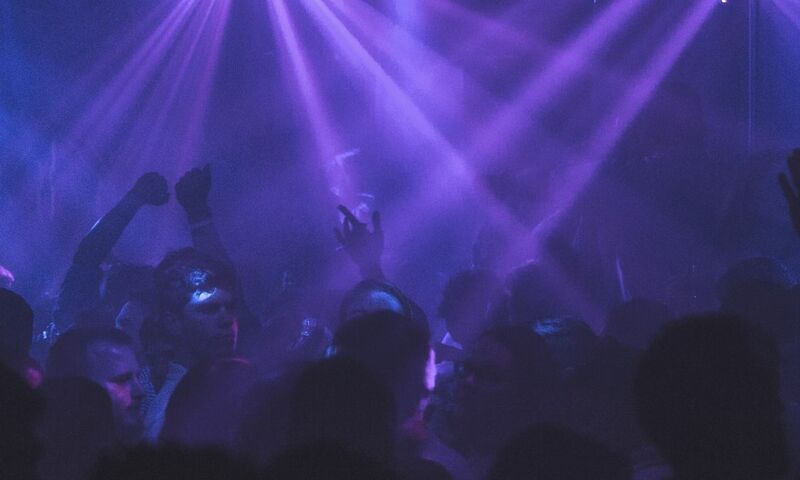 The oldest (and arguably, the best) spot in town is Legends Nightclub. Opened in 1991, the venue has featured hundreds of entertainers and served thousands upon thousands of guests. Hang out and explore four distinct lounges in one location—the Dance Club (if you want to dance, you go to Legends! ), the View Bar, the Patio and the Spotlight Theater featuring the Spotlight Divas. The relatively new kid on the block is Ruby Deluxe. Self-described as a DIY queer space (open to lesbian, gay, bisexual, transgender and queer folks), this underground bar presents drag shows, themed danced parties and local bands for nights filled with entertainment. There’s also Flex, a gay/straight/dive bar that offers everything from dance parties to karaoke to go-go boys. Insider tip: Flex is the only community spot that offers plenty of free parking behind the bar. Related: Places to Go Dancing in Raleigh, N.C. The LGBT Center of Raleigh serves as the hub for Raleigh’s community. Nestled in the bosom of the Warehouse District, this center continues to serve as a safe space, gathering place and valuable resource for many. Stop in to meet the incredibly-helpful staff of volunteers or attend one of the many meetings and events held there. Check out the numerous videos, CDs and book titles available in their expansive library as well. The center also offers anonymous HIV/STI testing on Mondays and Thursdays. Insider tip: On the first Fri. of each month, the LGBT center hosts an art reception showcasing LGBT artists and craftspeople. While at the center, you can learn about other community resources like ReachOUT NC—a nonprofit, LGBT, community volunteer organization, and the Raleigh Business Professional Network—Raleigh’s LGBT Chamber of Commerce. There’s no better time to visit our fair city than when LGBT pride is at its peak. Throughout the year, being your most authentic self is highly celebrated at the N.C. Pride at Night Festival and Celebration (9/29) in the fall, Out! Raleigh in the spring (early May 2019 date TBA) and the Crape Myrtle Festival Annual Grand Gala and CMF Queen’s Ball in the summer. Keep up with dates here.